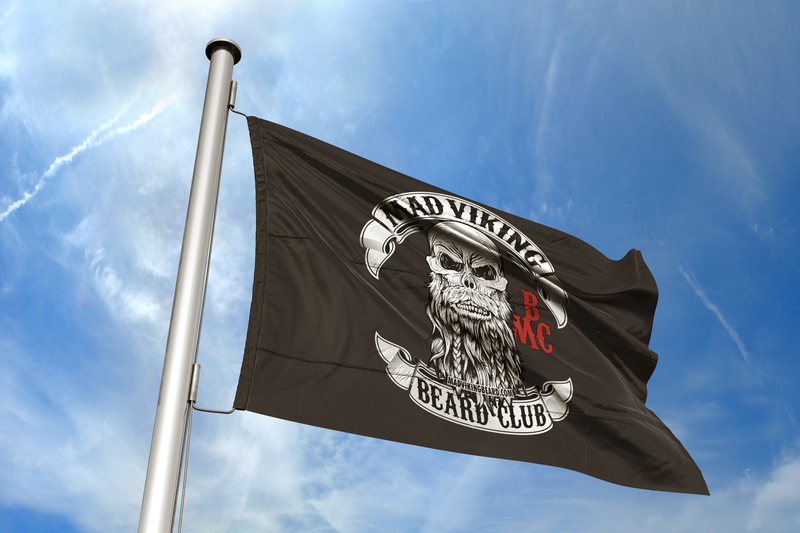 Mad Viking Beard Club Flags - Mad Viking Beard Co. 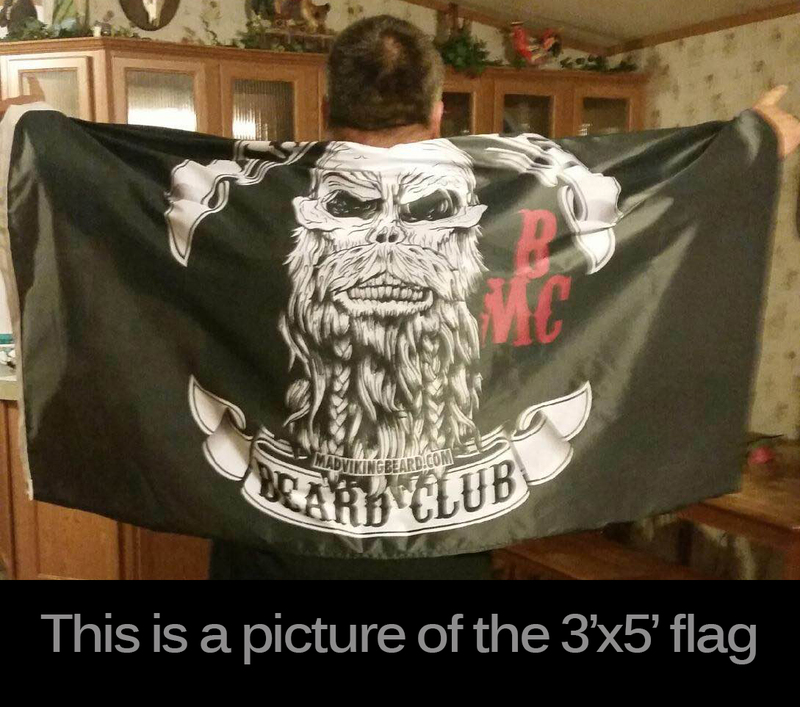 Choose either the 2’x3′ or 3’x5′ version of the Mad Viking Beard Club flag. The 2×3 flag is constructed out of a nylon base and is a Medium weight flag meant for hanging on the wall or outside. These are not meant to be out in the weather 24-7. Nylon has become the most popular material for US flags. They are durable, dry quickly and fly in a light breeze. The 3×5 flag is heavy weight, it is constructed out of 250 Thread count Denier Polyester. Polyester flags are considered the longest lasting. They are the best choice for high wind areas and are highly recommended for commercial and industrial use.